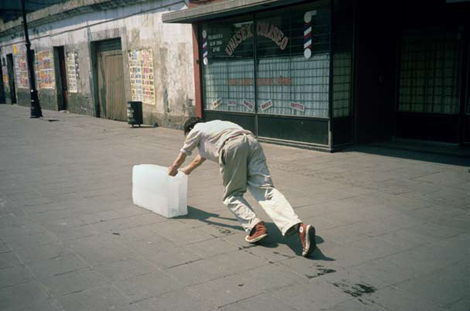 The theme of transformation, poetic by definition but also a little subversive, is central to Alÿs’s works. IMAGE OBJECT TEXT. 2017. Poetry and Politics: Francis Alÿs’s The Green Line | IMAGE OBJECT TEXT. [ONLINE] Available at: https://imageobjecttext.com/2014/07/20/poetry-and-politics-francis-alyss-the-green-line/. [Accessed 31 March 2017]. Sometimes Making Something Leads to Nothing | Exhibition | Ingleby Gallery. 2017. Sometimes Making Something Leads to Nothing | Exhibition | Ingleby Gallery. [ONLINE] Available at: http://www.inglebygallery.com/exhibitions/sometimes-making-something-leads-to-nothing/. [Accessed 31 March 2017].